SKU: whitecoma1. Categories: Flowers, Cheap Weed Online, Sativa. Another one. Zero Ave. is coming out with so many bangers. Want to find out why they call it White Coma? We thought Blue Coma was rare, White Coma is an even more rare Sativa. The genetics are unique. Zero Ave. created this one from scratch and they won't tell us their secret. All we know is that it's PURE bliss, energy, and good vibes. White Coma induces deep, trance-like effects. The very first thing you feel is happiness and energy which is perfect if you need an emotional boost, if you're going out with friends, or even before a workout. You will even feel some euphoric thoughts taking over your mind leading you into a state of bliss. You'll be having the best time ever without a care in the world. Also, anxiety, PTSD, pain, and sleeplessness are no match for White Coma’s potency, a medicine that is highly recommended for daytime use. 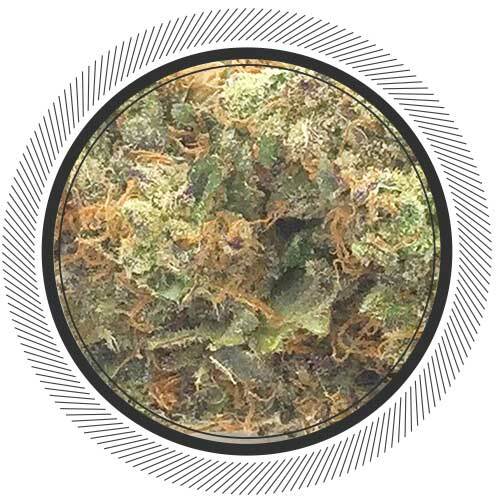 Pastel green breaks through this sativa’s thick blanket of crystal trichomes that contributes to its staggeringly high THC content of up to 25%. Zero Ave. almost called this one the Milky Coma because of how caked the flower is. It's just so white that it doesn't look like anything you've ever seen before. The smell will remind you of sweetness with a mix of lemon and other citrus fruits. This beauty will stink up your room so please be aware of this. Nothing coma about this bud. Super duper uplifting, laugh out loud, get off of couch kinda kick to it! Smells and tastes incredible! Love it. Wicked smell and taste. Great scructure. A little purps Flav. Would recommend for sure. I love this strain. Right to the head with just a shade of panic at first but that goes away pretty quick especially if you have activities to focus on. It’s incredible how much this increases my productivity as an artist. LOOK: the nugs are so dense! they are a mix of Bright Green and Dark Purple that runs right threw to the stalk. covered in orange hairs! <10-10. 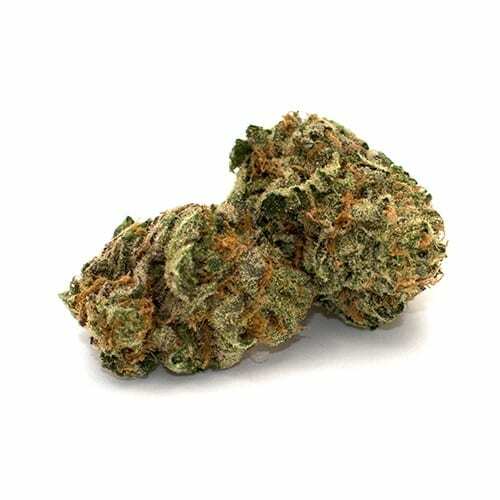 SMELL: smells like a grapefruit,blueberry, mix berry smell overtones with slight kush and spice undertones <10-10. TASTE/SMOKE: So Smooth!! burns white ash! it tastes really fruity on the exhale! almost taste like keif! just a super strong potent taste! <10-10. HIGH: makes my depression and anxiety just melt away! energetic, euphoric, creative. Would recommend to everyone with anxiety, depression or just needs to get some stuff done around the house or day without being to dragged down! 10-10! This is easily the most unique smelling weed I’ve ever had. It smells a little like UK Cheese mixed with Lemon Haze (little cheesy, little citrusy). It hits you like a wall but it doesn’t stop you in your tracks. You feel it right away and it gives you a wicked head buzz. I would definitely order more of this. 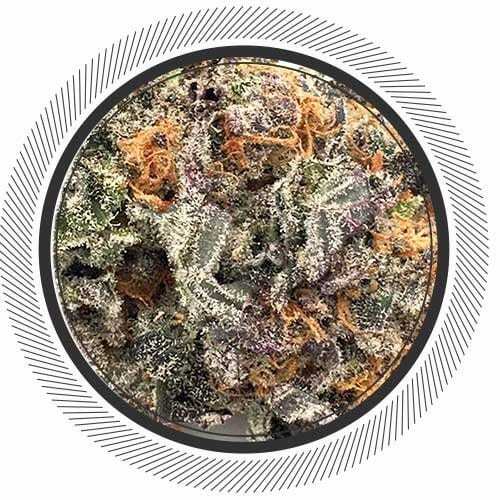 It’s a strain meant for for the cannabis enthusiast! Dès les premières bouffées mes nausées ont disparu et l’appétit est arrivé en force. Bravo. Je vais en re-commander dans peu de temps. Smells good and tastes even better. Pricey but well worth it. Had lots of energy after smoking it. Mine had a strong cheese smell with a little bit of citrus, tasted amazing and burned very clean, rolled a 3 gram Philly and shared it with some friends we hadn’t seen for 6 months. Needless to say, was one of the funnest nights any of us had in a long while. Nothing but good vibes and happiness from this one and strong enough to sooth even the chronic side of us, wonderful for going out on a nature walk with friends and endless smiles. Thanks for a great strain WP and Zero Ave! One of the best tasting flowers I have smoked!!! 10/10 for this strain!! Going to be ordering more as soon as I’m done typing this ? Smooth tasty smoke with a full clear headed buzz all over. IMO. 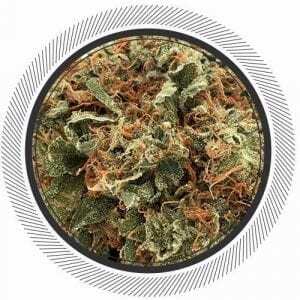 Better than greasy ghost bubba or any other high end strains I’ve tried off the site as well as many others. Only thing close in taste and quality is the blue coma from same growers. Although the entire spliff tastes different and cleaner than other strains available these days I love the flavours when I light the joint. It tastes like a delicious candy. Sweet and succulent. The only weed I’ve found online that resembles the chronic NL an White Widow and BC snuck strains we all smoked in the 90’s in terms of potency. I smoke approx 7 grams per day for my medical conditions and if I could buy this in bulk at a slightly lower price per ounce it’s all I’d smoke. 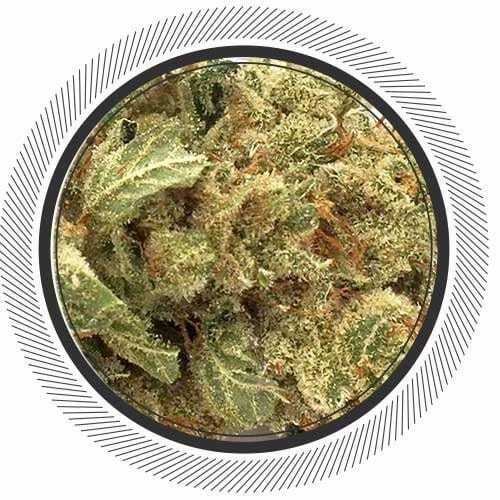 I’ve been using this site for about 18 months now and this is the best Sativa I’ve tried. Great for daytime making you feel happy and uplifted. I swear strain this gives me an energy boost pretty much every time I blaze it I want to go work out or do some sort of physical activity. Great product. Good night time strain I find. Has a woodsy and sour smell – one of the best strains for aroma I’ve come across in a long time. Smooth, tastes good, very uplifting. Wow… Tons of bag appeal. Smells and looks tight! Strong sweet and piney taste. The effects build slow and steady to reach a very uplifting and stimulating level, which lasts very long. Prolly score it a tad below 5 stars but would order again! I was quite curious about this strain after reading reviews. I then placed an order, and my oh my…..White Coma is a MUST TRY!! Zero Ave. truly lives up to the banger hype. Well done!! One of the best I've had so far. Amazing Sativa! Never had something like this before. So much great energy. Unique smell but good, amazing taste with a very uplifting buzz and is perfect daytime smoke. it’s hard not to love this strain. there’s nothing bad to say about it. will be restocking my stash soon. This is a great strain! Beautiful smell, covered in trichomes, clean burning and well cured. 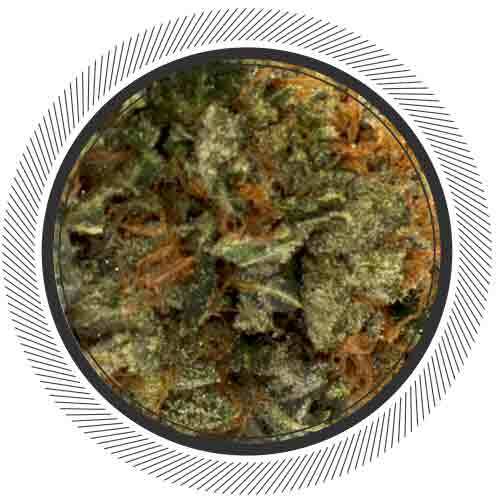 It’s very strong with a bit of a more spacey, relaxing buzz but you can still feel all the Sativa goodness. Definitely a unique strain, I hope they keep this one around, it’s one of the best ones I’ve come across so far on this site. I’d say better than the Greasy Pink Bubba by far due to a more unique quality of the high. The Buds are caked in white and the flavour is top notch the only recommendation is to only have at night. I’m a wake and bake guy and this one made me do double the amount of time to complete my jobs. Extremely pleased with my purchase. A relaxing but uplifting high. The smell is amazing – definitely a fruity combo. The buds are beautiful and sticky. Highly recommend. The buds I got weren’t very large or well trimmed but nonetheless the white coma has a great high. Smells and tastes great but it just didn’t have as much appeal as the other zero ave strains for me, visually or flavour wise. I have gotten this before, and like before, it is a great herb. I was like in sativa for a little while, so it was nice to have a good strain like this. these genetics are really nice for day time use it gave me alot of motivation to get my tasks done. Zero Ave produces some quality quad flowers this is one of my top sativas from whitepalm. Lots of crystals .Big quarter oz nugs. Kick in the head for me! You want saliva! This is the real deal…. Burns clean, nice white ashes.Tight dense buds. Love this for morning use. Great taste and burn. Small white buds, tight and sticky. Chill balanced Sativa buzz. This is great value for the price. When I breath deeply from the bag I can smell the fields of alfalfa when they were first cut when I was a kid. This could easily become my go to weed. I would definitely give it a try, you won’t be disappointed. Wow what a great purchase this is a new favourite of mine. Smells good, tastes good, smokes good awesome high for day or night. My strong recommendation is to smoke and go for a walk with this strain. Can’t say enough good things about this strain. I got this last time just before it sold out and i really liked it ! Very nice buds and nice flavour :). Good for morning/afternoon and not much burnout. Overall 5/5 for sure ! White coma is a killa strain. I just hope 0 ave gets back to the quality they were when first introduced by WP. Some of the strongest sativas available are grown by 0 ave.